Ask Hepatitis C patients what their most annoying symptom is, and surprisingly what is mentioned most isn’t the itching or nausea – its fatigue. Not unlike many chronic conditions, fatigue is the most common symptom currently experienced by people with Hepatitis C who are symptomatic when asked to select from a list of symptoms. Of those recently surveyed, 72% indicated experiencing chronic hepatitis C symptoms, with top symptoms being fatigue (93%), muscle aches (70%) and joint pain (68%). The online 2015 Hepatitis C in America survey gathered information from 403 individuals who tested positive for and diagnosed with hepatitis C. The study not only asked individuals about their symptoms and diagnosis journey, it also examined quality of life and treatment experience. While 31% of people were asymptomatic (not experiencing any symptoms) at the time of their hepatitis C diagnosis, of those experiencing symptoms at the time, fatigue was the most common among patients (63%). Of those who experienced fatigue at the time of diagnosis, 80% continued to report fatigue throughout their journey. Reporting fatigue as an experienced symptom did not significantly differ based on patient age, if currently seeing an HCP for their hepatitis C, or hepatitis C treatment history. However gender did play a role, with a significantly greater amount of women (71%) reporting fatigue than men (61%). Of those currently experiencing fatigue, 25% did not initially report this symptom at the time of their diagnosis, demonstrating the long term impact of hepatitis C. Hoping to combat fatigue, 36% of patients reported they are trying to get 7-8 hours of sleep each night, among the healthy habits being made since their diagnosis. The impact of hepatitis C has been found to stem into a patient’s health and quality of life – particularly that of fatigue. 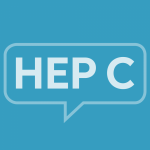 Many have found that hepatitis C impacts their education or ability to work, with nearly all indicating they are tired or fatigued at work or school (92%). Fatigue plays a significant role in the lives of those who have hepatitis C, and it is quite often a symptom that those without the condition simply can’t understand. While nearly everyone has felt tired at some point or another, fatigue associated with a chronic condition like hepatitis C is different. Doing one’s best to manage fatigue is important to maintaining quality of life.